One thing I have noticed with my skintone is that I can easily be blessed with hyper pigmentation after a spot/scar/keloid/chicken pox...etc you name it! Hyper pigmentation in simple terms is darkening of skin in an area caused by excess melanin production. Hyper pigmentation can be caused by sun damage, inflammation, acne scars and other skin injuries. So, I had chicken pox when I was about 12 years old, now I am 20 and still am battling with a few scars on my face. Over the years the scars on my body have faded. However on my face there's still a few little ones which remain. Hyper pigmentation has made it harder for me to get rid of it. 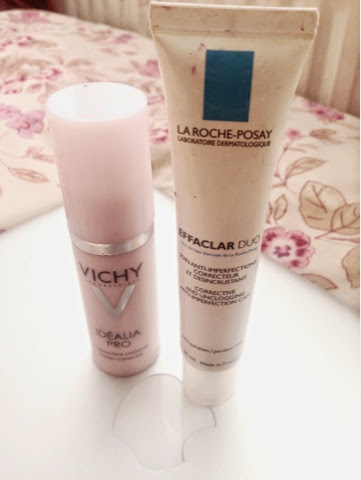 I have tried various products but nothing seemed to work as well as these two. Sorry the packaging looks dirty, they stay in my makeup bag as I use these religiously hence I have got pink blusher specks on them! The packing on this says 'corrective and unclogging anti imperfection care'. It is also paraben free. You are meant to apply this during the day or in the evening to your whole face. I usually apply this before bed time or after I have washed my makeup off in the evening. 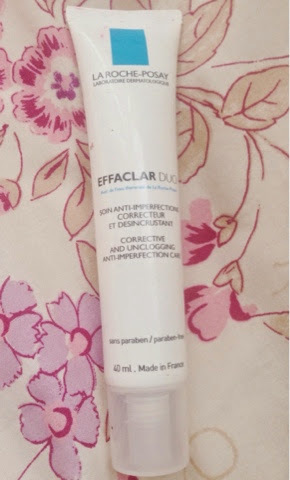 The product claims to 'reduce the appearance of imperfections and unclogs sebum blocked pores'. The consistency of this product is very smooth and light. 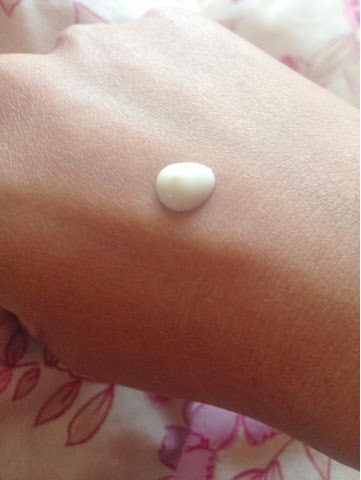 It is not as thick as a cream or gel, it glides onto the skin easily and a little bit of product goes a long way! 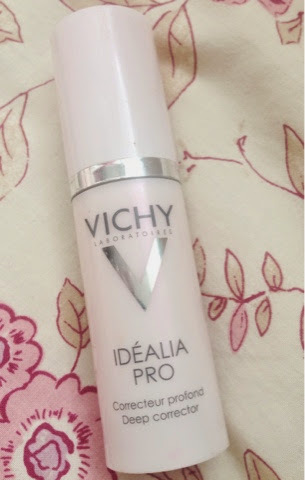 It does not make my face feel greasy at all and sometimes I have used it under my makeup without feeling like my makeup feels oily. The product absorbs into the skin really quickly, I usually massage it in to help it work better. This product also has a natural smell, nothing harsh or chemical type. The packaging on this is very nice. This product claims to 'deep correct' the skin, and is suitable for all skin types as well as is paraben free! Winner winner! 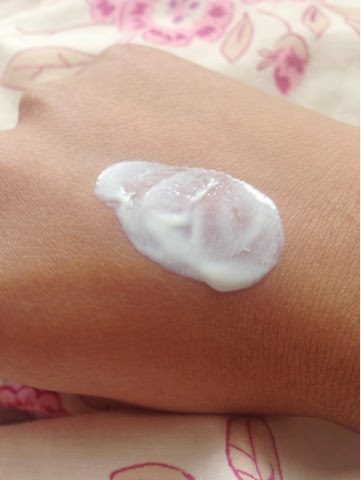 The consistency of this is thicker, however once again not as thick as my normal moisturisers. It also is easy to work with when massaging it into the skin and I really like the smell of this! It has this beautiful flowery smell, so if you are sensitive to smells be sure to smell it before you purchase it! I also use this before bed time or after I have washed my makeup off in the evening. My pores are also noticeably smaller and I barely get any blemishes or spots now. I have had many compliments since I have been using this as I am more comfortable going outside with minimal or no makeup! Would I recommend these? Of course I would! I can not say which worked better because I would use one, one day and the other the next day. I did not want to layer both on the same night as I wanted my skin to absorb it better! For me the combination of using both of these have worked faboulously! I will be carrying on using these until I find something better! Well I hope this review has helped you guys if you have been considering to buy these products or are in the market looking for anything to fade scars/hyper pigementation/evening out skin tone. Do leave me a comment to let me know if you have tried these and what your experience was like. Also if you recommend any other products equivalent to this for me to try out. Disclaimer: I brought these with my own money. This is not a sponsored post.